So, am I really Welsh? Wales is doing very well in the opening rounds of the 2015 Rugby World Cup. We have beaten Uruguay, England (yay!) and Fiji to date and I feel sure Wales v Australia will be a real nail biter. I have always supported the Welsh rugby teams, always. My sister, Amanda, played fly half (No. 10) and Vice Captain in the very first women’s side and it is second nature to shout ‘Cymru am byth’ whenever I see those red jerseys emerge from the tunnel just before I sing ‘Hen Wlad Fy Nhadau’ VERY loudly indeed. But am I really Welsh? Not according to my mother, who finds it fascinating that I make this claim every time the six nations kicks off. You see, she was born in Manchester (Salford). Her dad, Arthur Nolan, was also born in Salford; her mother, Patricia Hogan, was born in Dublin and BOTH her grandparents were born in Ireland. My dad, Des Bennett, also hails from the Emerald Isle and BOTH his parents were also from Dublin. I have not one single drop of Welsh blood in my veins and yet, I couldn’t feel more Welsh if I’d been born with a carved wooden love spoon in my mouth. I was born in Cardiff in 1962, the family moved to North Wales in the mid 60s and both Amanda and I attended the local village school. I vividly remember one girl in my class who used to stare at me out in the playground. I used to stare right back at her too. Sounds rather unfriendly doesn’t it? The reason we used to stare at one another was because she didn’t speak a word of English and I didn’t speak any Welsh. Some people find this hard to believe, that in the 1960s, some people living in the farthest northerly part of Wales actually didn’t speak English. They spoke Welsh at home, in school, when they were out shopping, having coffee with neighbours and English simply wasn’t required during their day to day life. When we moved back to Cardiff in 1970, my parents felt strongly that both Amanda and I should learn the language properly. They thought it would a very useful thing to have under our belts should we decide to work and live our adult lives in Wales. So, they took us along to Ysgol Gynradd Bryntaf in Cardiff where we met the Headmistress for a chat. She then took me down to the Standard 3/4 classroom where I was asked to read in Welsh in front of all the Welsh speaking pupils. I can remember that moment to this very day; I wanted to curl up and die/crawl under a stone/run away, the last thing I wanted to do was to read from a well known Welsh children’s book, in a language which to a greater extent, eluded me completely and worse still, there were dozens of children staring at me, just waiting for me to get it all wrong. I busked to save my life and the words I didn’t understand, I just tried to pronounce as well as I could, in the hope the Headmistress would be fooled into believing I could actually speak The Language of Heaven. It worked and both Amanda and I started there in January 1972. For a very long time, I had to approach Mr Islwyn Jenkins, my form teacher, after every lesson and ask him (in English – aaarrrgghhh!) to explain all the things I had found impossible during the previous lesson. He was kind and patient and in September 1973, I began secondary school with a better understanding of the language than I had ever thought possible. Ysgol Gyfun Rhydfelen was a fine school; the teachers were all Welsh speaking and the majority of lessons were taught in Welsh. When I took my O levels in 1978, each and every paper was set in Welsh (English and maths being the exceptions). French, science, music, art, Classical Studies, history – all set in Welsh. When I received an A grade for my Welsh language O level, I thought Mrs Ogwen was going to self combust with pride. I had had very little help with any homework, simply because my folks weren’t able to speak the language and so, didn’t understand any of my homework projects. Duw, it was ‘ard! 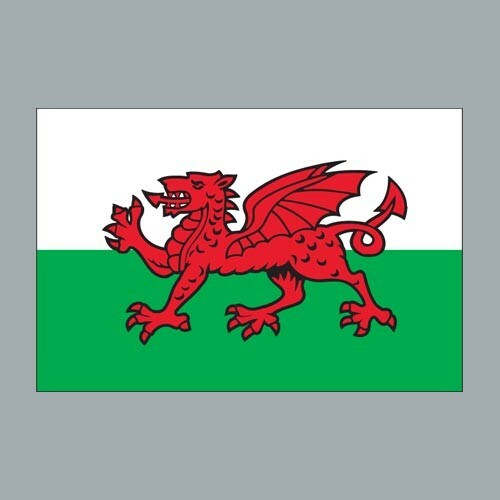 I am now in my 50s but if anyone ever asks me ‘Where are you from?’ I very proudly tell them I am Welsh. And I am Welsh, through and through. 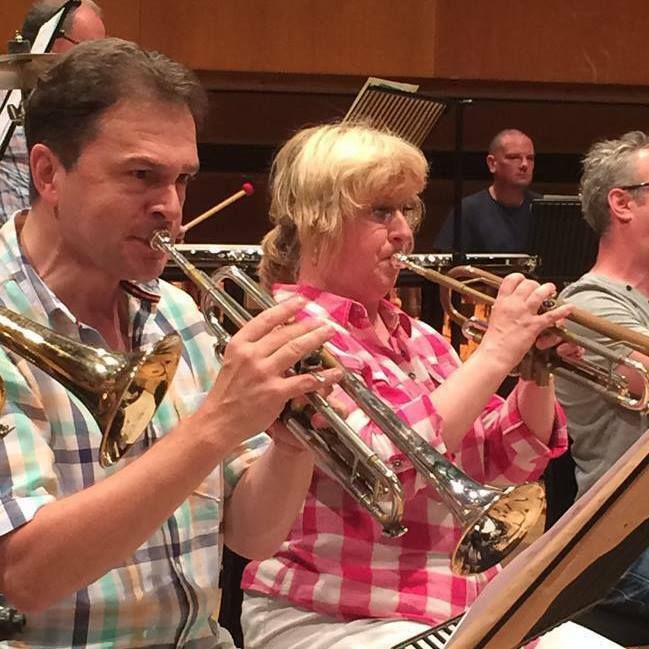 I was born and bred in Wales, I speak the language, I attended and competed in many of the famous music festivals (Eisteddfodau) and played trumpet in both the South Glamorgan and Mid Glamorgan Youth Orchestras. Hymns were sung in assembly in four part harmony as a matter of course, every day of the week. I studied Welsh literature, performed on stage, reciting and acting in Welsh and other than the odd family holiday, I spent the first 18 years of my life, living, breathing and singing the Welsh language. Whatever the outcome of the 2015 Rugby World Cup, I will always be Welsh and proud of it! Cymru am byth!